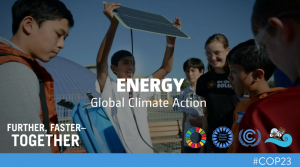 Energy featured prominently at COP23 with the Marrakesh Partnership for Global Action Energy Day. Discussions on this day revolved around the energy transition and how to meet the Paris goals through decarbonization of electricity and energy systems in general. 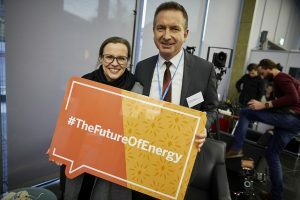 More than 300 delegates also attended Renewable Energy Day: Action on Climate and Accelerating Energy System Transformation organized by the International Renewable Energy agency (IRENA). One area that needs to be addressed further is how to build out energy efficiency measures in all end-use sectors of electricity, but especially in uses where emissions are difficult to decrease. create more connections between power and transport. Several panelists presented how the discussion on power is basically over, renewable energy is becoming more and more accessible, building a business case for its use over coal and natural gas as it goes. Many countries are recognizing the need of renewable or sustainable energy usage as a means for reaching the Paris Agreement. It is no longer a question of what do we need to do about energy, now the focus needs to shift to how will we make this transition, and how can we make it faster. In the GCA Media Briefing on Energy, Water and Agriculture, Adnan Z. Amin, Director-General of IRENA, discussed how technology, such as battery storage, will play a key role in the future of sustainable energy and its ability to be transported and made widely available. Energy technology is commonly seen as an investment. Furthering this scenario of investment can lead to more research and development of technological energy solutions. The last key piece to assisting this transition is a better policy framework surrounding renewable and other sustainable energy alternatives. As more and more countries realize the importance and benefits of renewable energy, they are willing to jump on board and help out however they can. 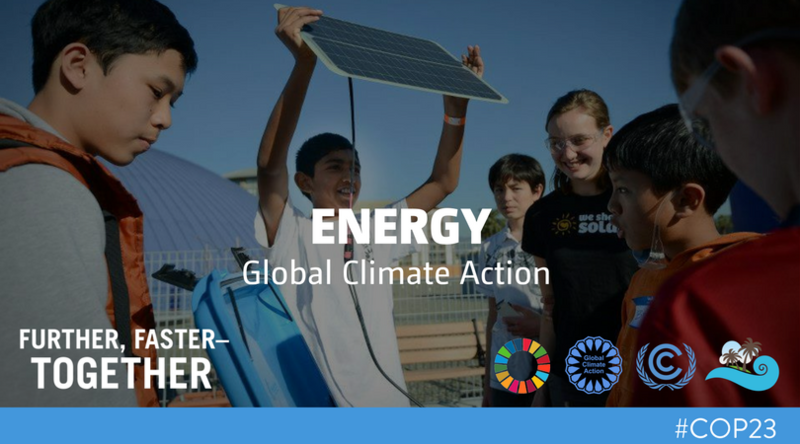 This participation could lead to the breakthrough needed to make renewable energy systems readily available for all. Energy Day at COP23 was the perfect opportunity for many different associations, countries and other researchers/activists involved in the energy scene to share ideas of how to make the transition to sustainable and renewable as quick and effective as possible. Interested in learning more? Check out these COP23 panels!